Impalas have it tough! In these incredible images snapped by wildlife photographer, Hannes Lochner in Botswana's Moremi Game Reserve last year, an impala flees to the apparent safety of the Khwai River to escape an attack from a pack of wild dogs, only to find itself grappling with a pair of territorial hippos. 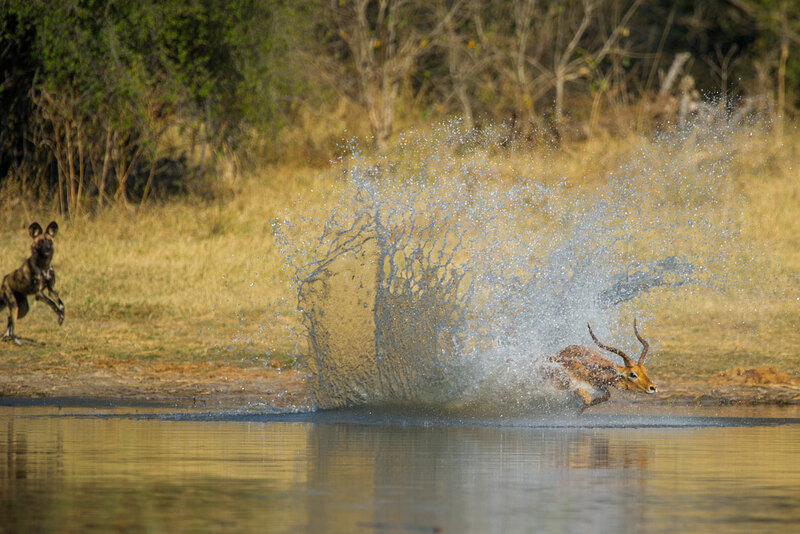 After being tossed into the air, the impala managed to break free and escaped to dry land, eluding both the wild dogs and the aggressive hippos. 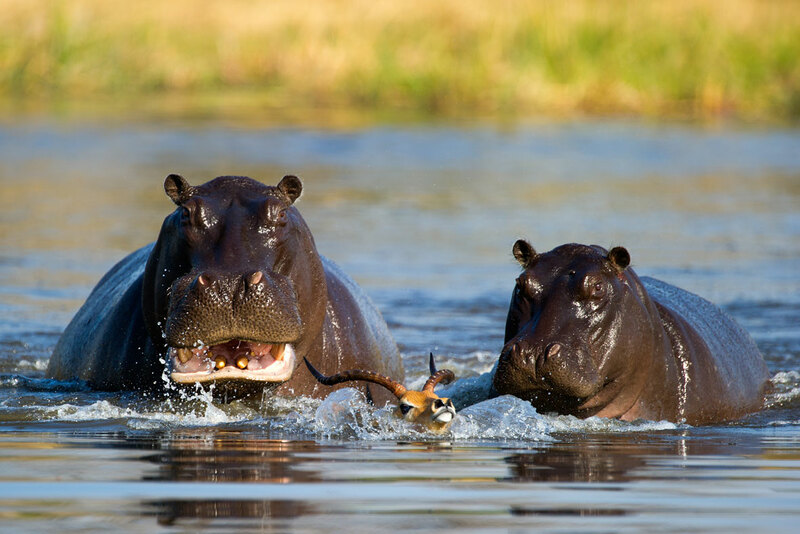 It's the first time Lochner has seen behaviour like this and he believes that the hippos were more than likely just defending their turf. Just an hour earlier, Lochner witnessed a similar incident in the same pool, however, the impala in this case was not so fortunate. 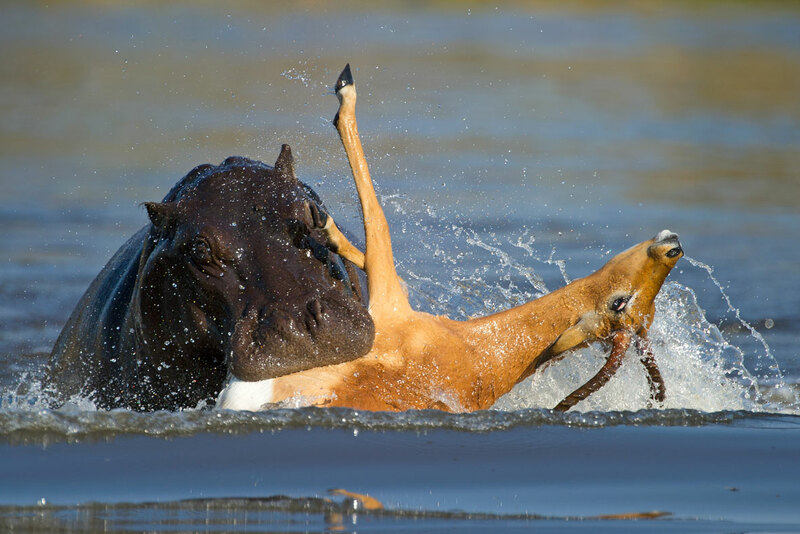 After being drowned and "chomped" on by the hippos, the antelope's carcass was eventually disposed of later by an opportunistic croc. In total, Lochner watched four impalas forced into the water that day over a period of ten hours. 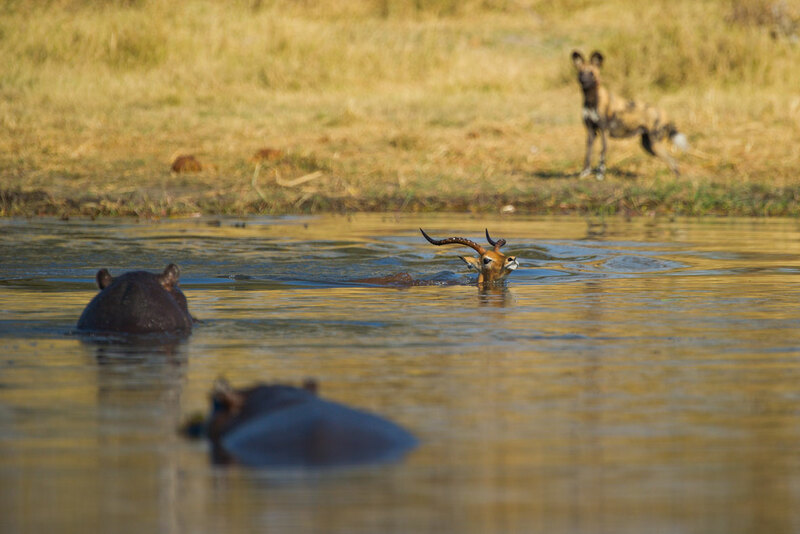 Although he had never personally encountered this behaviour on the Khwai River, he explains that “[i]t’s happened before that [wild dogs] use the river as a sort of ‘block-off point’ - sometimes the impalas jump in." 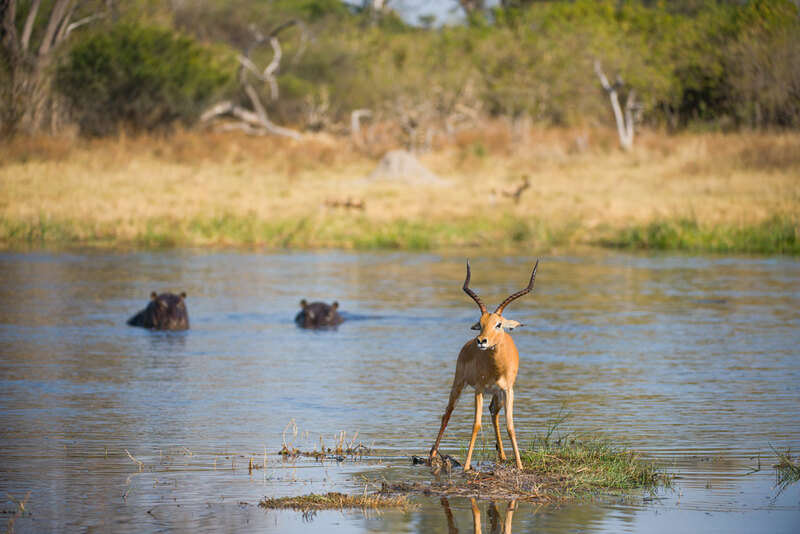 Only two of the four antelope escaped with their lives, the third impala fell victim to a croc about 200 metres downstream while the fourth one managed to get away. It's a lucky sighting that would make even the most seasoned safarigoers a little jealous: a wild dog mom feeding her tiny pups.